Sub-titled "An Electric Sinfonia In Five Movements"
I honestly had never heard a The Tangent album. I know they are somewhat legendary, and they seem rather outspoken about prog rock. I definitely was thrilled to get a chance to review this album, though. The artwork is very sophisticated, so I expected the music to be as well. I was not disappointed. This is a sprawling album, as it contains movements and two tracks that are about 20 minutes each! This album is certainly ambitious, and I think they achieved their goals for the most part. First, I'll discuss the music, but then I'll discuss the lyrical themes because they are integral to this album. The music is rather standard eclectic prog. That may seem like an oxymoron, but this album is equal parts neo-prog and symphonic prog, and there is a rather interesting dichotomy between light and dark passages. This can especially be seen in the very innocent symphonic arrangements and flutes that are very classical in nature. They are very earthy in a way, and they often dominate a song for quite some time. Then again, there are some darker, wicked moments that explore the deeper side of the lyrical themes. Instrumentally, I was particularly impressed with the lead guitar work as there are some awesome guitar lines and solos throughout this album. The synth and keys are also impressive, but are used a little more conservatively. I think this may be to get their message across a little more clearly. The vocalist, Andy Tillson, has a unique voice that is quite rough, but somehow soothing and melodic at the same time. Last, but not least, the bassist delivers some truly groovy rhythms that get your foot stomping. The Tangent has been known for their cynical lyrics for some time, as they have even been known to criticize music in their music. This album has a much grander scale in this regard, for this album is all about our work, careers, and jobs. It is about the grand futility of our every day commutes and journeys toward possessions and status. The album's title is "Le Sacre du Travail", which translates to English as "The Coronation of Work". That is quite meaningful for understanding the lyrics: The Tangent is discussing the worship of work as a means of happiness. I love the very beginning where we hear someone in the future describing the workers of the past, and how they did all these different things to be able to watch a box with pictures, to live in a box called a house, and so on and on. The point, I'm sure you see, is that we work away our lives to do nothing more than cage ourselves. We box ourselves and our thinking into one dimension of existence. Work-->sleep. Work-- >sleep. The great thing is that The Tangent has managed a mass global criticism all while delivering catching choruses, great instrumental passages, and delicate melodies. The album never gets boring, and it never gets pretentious. I think my only complaint with this album is some of the writing. Some of it does come across as cheesy; such as one part where, while speaking about the fact we can't take our riches with us after we die, Tillson bellows, "Your kids will sell it all on Ebay" a few times in a row. It's as bad as you think it would be. However, the writing is mostly good-to-great, and the overall album contains some great music along with some average-to-good bonus tracks. Apart from the well-done theme, I'm afraid this album would have been difficult to hear. However, this album is an excellent overall package that delivers thought-provoking refrains with beautiful melodies and symphonic arrangements. This is a tender album that delivers a surprising punch to the gut by way of societal commentary. This a definite listen for any prog rock fan. It is a true accomplishment in terms of scope and gentle melody, and a near masterpiece in terms of theme and composition. he Tangent have certainly come a long way since Andy Tillison decided that he needed another project outside of PO90 and formed this band with Guy Manning and Roine Stolt. Neither are there these days, but he does have Jakko M. Jakszyk (Level 42) on guitar, Theo Travis (Robert Fripp, Gong, Porcupine Tree, Bill Nelson, No-Man, Steven Wilson etc) on sax, flutes and clarinets, Jonas Reingold (The Flower Kings) on bass, Gavin Harrison (King Crimson, Porcupine Tree) on drums and singer David Longdon (Big Big Train) so none of these are slouches. This is a concept album, based on 'The Rite of Work'. There is a narration where it is explained that on this island 50 million people wake up, and an hour later they have to be more than 30 miles away doing something that they don't want to do, so that for a short period of time they can say that they can own a building! This is a very English prog album, both in music and lyrics. I wonder how many people who have never heard 'Steve Wright in the Afternoon' will understand the reference to factoids, but for someone like me who remembers when Steve was on Radio One (as opposed to Radio Two), all of this just made me smile. Musically it is very diverse, as although obvious reference is "Days of Future Passed" which starts with the beginning of the day and ending with the night, while here we start with the beginning of the day and ending up with "Evening TV" having survived the trip home through the rush hour, there is actually a lot going on as Andy brings in influences and textures from all forms of music. Some of the music is designed to make you think, while at other times it is almost pure pop. It doesn't always hit the mark, but when it does it is both enthralling and exciting. Many years ago, Andy eked out a living as a sound engineer and was responsible for recording many independent bands at the end of the Seventies, and it is back to this era we go with the punk power pop version of "Hat", which may or may not be from 1979 as stated in the title. It may not be perfect, but yet again Andy has produced something that is definitely worthy of investigation. If you haven't come across this band before then you owe it to yourself to do so now. a wonderfully crafted prog album! Phew! Finally ... I got a chance to write this album from the band where I have been a big fan of it since its debut album which was really wonderful and it was totally in canterbury scene I would say. And now the latest album has been becoming my regular playlist but for some reason I failed to write a review about it. In one sense there has been confusion inside myself as whether or not I give a full five star rating or somewhere about four plus star rating. Well, I have been listening to it in its entirety more then ten spins already by now but yet I have not made any decision until I finally realized there are not so many people have reviewed it .... So have to write it by now and for sure the rating is on four star plus, not just four because this is really very excellent album and very close to perfection. Musically, I imagine this is like something about or similar to classical movements even though I am not good at enjoying classical music per se. But I would treat my journey in listening to this album is like a classical music piece. It starts wonderfully with a full orchestra piece called as 1st movement: Coming Up on the Hour (Overture) (5:55) which sounds like a playing field by many musicians. But of course the listeners would be aware of the facts that there are plenty of softwares were used to record this opening piece as indicated by its liner notes on its inlay. The overture to me sounds like a masterpiece classical music regardless this is the result of software engineering work - I really don't care. In here, I can sense the beauty of the music as it sounds ...and honestly without reading the liner notes I would not be aware of the use of softwares. So ... congratulations Mr Andy! You have done such a great job on this opening piece. The next bit is basically an epic in itself with 2nd movement: Morning Journey & Arrival (22:54) where at the beginning it moves very slowly and typical progrockers would not be so patient listening to the long and slow moving piece. But it's not in my case ... I fully enjoy this second track in its fullest from start to the end. But if you are quite patient enough the moves slowly in crescendo with excellent vocal work. There are long keyboard solo combined nicely with nice vocal choirs. It moves nicely to the next bit of track 3 titled as 3rd movement: Afternoon Malaise (19:20) with basically similar structure, starting with an ambient mode. But overall this third movement is as excellent as the 2nd. I don't intend to elaborate track by track of this album but for sure the tracks featured in five movements are all of theme excellent in its entirety and all of the fives have formed one cohesive whole in terms of music structural integrity. I really admire this band, really! 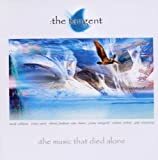 As all probably have known that The Tangent is basically an ever-evolving lineup of talented musicians led by Andy Tillison. Le Sacre Du Travail which translated from the French means The Rite of Work which basically the story of down-to-earth subject matter: the millions of people who go to work every day. Boring? It's probably they are. But ...life is choices and they don't have the reason to get bored - in my humblest opinion. From the lineup, there is Andy himself, who wrote all of the material, and is featured heavily on keyboards, vocals, and guitar. Other Tangent regulars appearing on the album are Theo Travis playing woodwinds, Jonas Reingold from The Flower Kings on bass, Jakko Jakszyk on guitar, and Guy Manning on acoustic guitar. 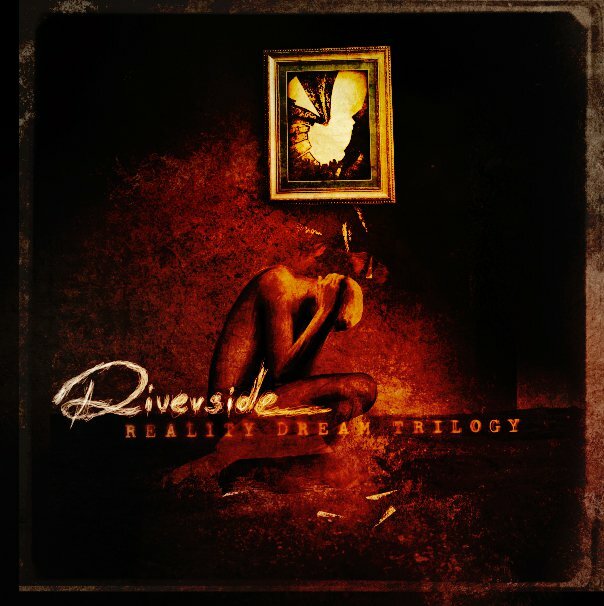 Gavin Harrison, a newcomer ex Porcupine Tree, plays drums, and David Longdon of Big Big Train contributed some vocals. Rikard Sjoblom of Beardfish does the narration on the first track of the album. 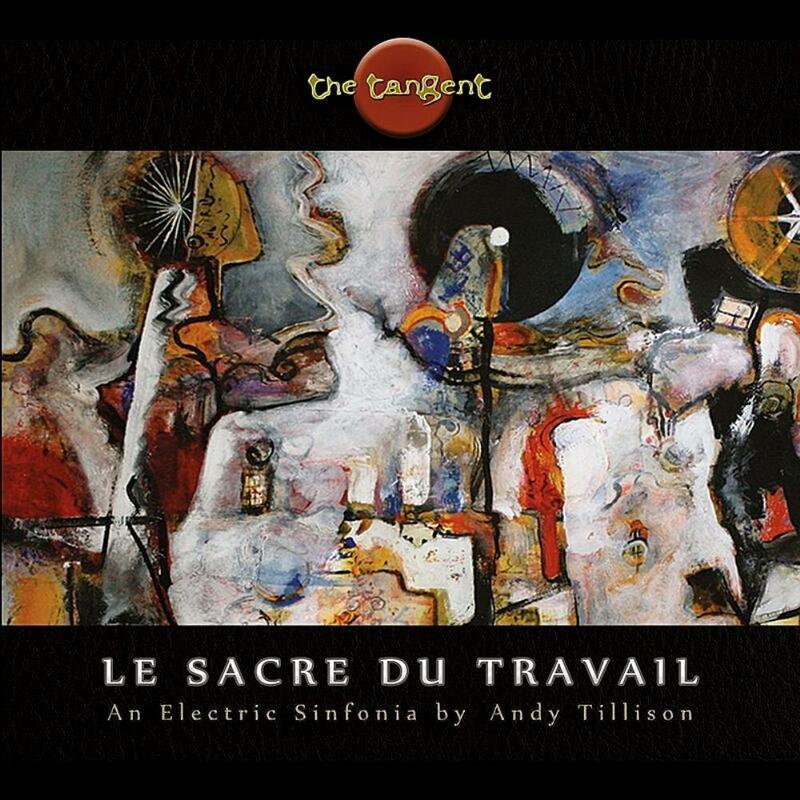 In Beardfish's The Void, Andy Tillison did the narration on the first track, and now it seems that Rikard is returning the favor on Le Sacre Du Travail for the Tangent. Andy explains the liner notes regarding the influences of this album. The most are Igor Stravinsky's The Rite of Spring, as well as Emerson Lake & Palmer's re-imagining of Pictures at an Exhibition. Actually Andy was working on re-writing The Rite of Spring, but was unable to complete the work due to copyright issues and finally made it as Le Sacre Du Travail. Overall, I would highly recommend to those who claim themselves as progrockers to love this wonderfully crafted album. You should not miss this one at all. It's more than just an excellent progrock album but it also hooks you to the bone, I believe.... Keep on proggin' ...!!! Andy Tillison, the brains behind the UK based prog giants The Tangent, is, to me, one of the most fascinating minds in the genre. If you want to know what I mean, read any number of interviews with him in which his responses are often brutally honest, candid, philosophical, or political, with frequent gems of wisdom regarding the prog scene itself; truly among the most fascinating interviewees I've had the chance to come across. All that's fine and dandy, but what about the music? Well, in that area I must confess that this man is quite the artist and has managed to carve out a sound which is firmly planted in his influences but uniquely his as well. That said, I've not necessarily been a fan of 100% of The Tangent's musical output, but they have had a number of albums that knocked my socks off, and I'm not gonna lie, their latest release, Le Sacre Du Travail thoroughly impressed me on all levels, from songwriting to performance, arranging, concept, and lyrics. Those familiar with Tillison already should know that he has a knack for lyrics and concepts that are extremely well written, down to earth, poignant, witty, and often which let his inner prog geek show. Such is the case with this album. Le Sacre Du Travail, in its essence, unveils (in a most pleasing manner) some of the harsh realities that the proles face as they rise to the daily ritual of work and monontony while employing, as so often The Tangent does, frequent references to information technology ("just look on Google Earth"), a light sci- fi twist, and little snippets of prog culture dropped in here and there ("2112 tatooed on his hand"). Furthermore, to get us into the story, the liner notes give us 5 pages of cleverly written narrative by Andy himself, reminding me very much of the autobiographical fiction style of the wonderful Tangent novella "Not as Good as the Book," and leaving me wanting to read more and more. Although to some the content of this album may come off as a bit political, in my opinion it is a remarkably accurate depiction of the often meaningless nature of what many of us face every day. Kudos to Andy for creating such an enjoyable portrayal of something so mundane as wrenching oneself out of bed and going to work. Musically speaking, Le Sacre Du Travail is on par with, perhaps even beyond, the best work that he has done, rivaling even The Music That Died Alone. From where I'm sitting, the key to this is twofold: 1) a conscious effort to make a large scale and grandiose piece of art music; 2) putting together a remarkable group of musicians to execute an already majestic vision. At this point it should be no news to most that Tillison's latest effort, subtitled "An Electric Sinfonia," is highly influenced by Stravinsky's "Rite of Spring." This is instantly noticeable from the very start of the album in terms of syncopated rhythms, odd tonalities, and phrasing; the Stravinsky feel is seamlessly woven throughout the length of the album in ways that blend it perfectly with the prog, jazz, and canteburian influences that are staples of The Tangent's signature sound. Three out of five movements are of epic length, clocking in at 23, 19, and 12 minutes respectively, but the fascinating thing about these pieces is that despite their length they maintain a very 'songy' feel, with catchy vocals and choruses, memorable motifs, and all the sort of wonderful solos we're accustomed to with Andy's music. The glue then becomes the classical influences and sections which weave their way throughout the songs beautifully. Speaking of the classical element, Mr. Tillison's liner notes even gives us a fun little look into his love of synths and their unique interpretation of classical sounds that have developed into becoming their own unique element. All in all, the composition throughout the album is top notch, ambitious, and simply fun; a sort of best of both worlds between the elite music snob and the simple man's tune. As mentioned before, the cast of musicians that The Tangent brings together for this record is key to breathing plentiful life into these pieces. First off, this album marks the return of bass giant Jonas Reingold (TFK, AOM, Karmakanic, etc. ), and what a glorious return it is. Andy claims that Jonas' playing here is the best he's heard since Unfold the Future, and I have to give him credit, there may be some truth to that statement, though it's hard to be conclusive when it comes to such a monster of a bass player. Nevertheless, his playing on this album is huge, consistently laying down nice grooves and melodic lines which greatly enhance the pieces. Furthermore, who would've guessed that we'd see Gavin Harrison (Porcupine Tree) on a Tangent album? As always Harrison's drumming is tasteful, complex enough to grab our attention, subdued enough to focus on enhancing the music, and musical enough to remind us that drumming isn't just for keeping the beat. Additionally, Theo Travis' jazzy flutework once again hits the sweetspot, and David Longdon's additional and backing vocals do wonders to enhance Andy's parts, much like Wilmer Waarbroek's voice finely complimented Arjen's on his more or less recent album, Lost in the New Real. All in all, it's a good guarantee: when you put together a brilliant crew of players without a 'too many hands spoil the soup' sort of composing scenario, the results are stunning, as is evident in this case. In my humble opinion, Andy really outdid himself this time. I came back from listening to such a fantastic album as was Comm with some doubt in my mind as to how the next one would turn out, due to essentially what amounted to be a major split up of the band. Despite that, Le Sacre Du Travail pulled through, showing Tillison's keen hear for composition and sound, creating a whirlwind of synth leads backed by classical sounds which very well make this record a staple in symphonic rock alongside great albums of the past. 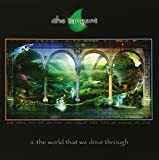 For their seventh album, English collective The Tangent, led by one of modern prog's most talented keyboard players Andy Tillison, deliver their most varied, complex and ambitious work to date with 2013's `Le Sacre du Travail', translating to `The Rite of Work'. Anyone familiar with the group will know to expect an eclectic mix of keyboard dominated prog, with plenty of Canterbury Scene jazzy fusion flavours and symphonic themes, and this time around there's plenty of orchestral flourishes to bring just a little sweeping cinematic drama as well. In addition to all the expected colourful instrumental passages, as always Tillison delivers a biting social commentary lyric with his expected weary yet affecting lead vocal, wrapped up together with plenty of strong melodies and surprisingly effective and smooth group harmonies as well. The dazzling and diverse keyboard player Tillison is joined this time around by a variety of musical guests from several other notable bands, many of them already sharing an involvement with Tangent albums past. The inclusion of regular contributor Jonas Reingold of Swedish symphonic champions The Flower Kings makes this a must-buy instant purchase, and as always the skilled musician delivers a fluid, emotional and subtle performance. Modern Canterbury sound legend Theo Travis offers his always dignified and sprightly sax, flute and clarinet, and both Jakko Jakkszyk of 21st Century Schizoid Band and Guy Manning provide some extra some vocals and guitars. Rikard Sjöblom of Beardfish recites the opening narrated passage, returning the favour that Andy himself delivered on their `The Void' album a few years back. David Longdon of Big Big Train, who have been enjoying a raised status in the modern prog community since their `Underfall Yard' album a few years back, has a memorable extended vocal passage during one of the epics, and Gavin Harrison of the last several Porcupine Tree albums will also likely be a big drawcard here, and he has never sounded so varied, complex and freed. The album is broken into five movements, mostly of longer, wonderfully self-indulgent blown-out prog epics, but with some shorter interludes and lots of classical elements in between. The main concept deals with the day to day monotonous grind of the lowly worker, and as usual, Tillison's lyrics divert in all different directions and are peppered with witty (and frequently cutting!) observations, poignant reflections and dark deadpan humour, all woven to a low-key science-fiction narrative. Even more admirable is that he places just as much importance on these strong lyrics to go with all the flashy instrumental showing-off, something many more prog bands should keep in mind. The opening scene-setting narration quickly gives way to a quirky and playful classical overture punctuated with fleeting moments of bombastic ELP/`Pictures at an Exhibition'-like synth pomp, as wistful flute, carefully announcing drumming and restrained electric guitar strains begin to emerge. Memories of the Moody Blues' `Days of Future Pass' ring throughout the early AM start of the workday in the first of two lengthy epics, `Morning Journey and Arrival'. A stark sombre piano gloomily tiptoes behind a weary lamenting vocal from Andy. 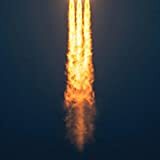 Gentle tortured electric guitar burns slowly as tense orchestration swells, leading to an aggressive synth outbreak over scornful vocal barking, moving through flighty drumming and delicate sax for a gentle Canterbury Sound trip. Hammond organ purrs and melancholic group vocal sighs over weeping Mellotron defeated by breezy slinking grooves and smoothly pleasing vocal harmonies with cheeky flute - phew! A livelier foot-tapping finale even calls to mind `Grey and Pink'-era Caravan! After an uneasy almost chamber prog introduction to `Afternoon Malaise', the band heads right back into Canterbury territory with boisterous sax, trilling flute and rip-roaring murmuring bass over jazzy patterings. A dash of early-prog Hammond fire, mellow chilled grooves, more silken harmonies and a dashing Moog solo race to the finish, and a grand synth finale would sound victorious if not for the very bleak lyric! `A Voyage Through Rush-Hour' is a fleeting stirring orchestral break highlighted by dramatic piano that builds in sneaky urgency and jumps up with quick manic bursts like taunting little mental breakdowns! With the dreaded work-day done, `Evening TV' is a little more relaxed and almost joyous, with break-neck synth fanfares, insistent drum rolls and splintering chunky bass grumbles all sounding a little like Yes. Dark introspection and the reality of banality soon creeps in, but it still closes the album in a much more upbeat and excited fashion than expected. So perhaps Andy still sometimes over-reaches vocally here and there (pretty much a bit of a Tangent trademark by this point! ), and `Le Sacre du Travail' is not initially as instantly pleasing on the surface as previous Tangent works, but on repeated listens so much appreciation and admiration starts to grow immensely to deliver a wholly satisfying and intelligent work. This is a sophisticated, thought-provoking and very confident suite of music that will take some time to truly grasp all its many facets, but it's further proof of a group of musicians playing at the top of their game, and an artist in Tillison who only keeps reaching higher with each new work and climbing above every single time. Post a review of THE TANGENT "Le Sacre Du Travail"